Protects against fine non-toxic dusts and fumes. Folds flat. Conforms to EN149-2001. FFP1 Face Mask (20 Pack) is rated 4.0 out of 5 by 9. Rated 5 out of 5 by Integral sparks from Good protection and solid fit. Used whilst plastering. Did the job well. Rated 4 out of 5 by Roggie1 from Dust masks Have bought these before, not a bad mask to be fair. The elasticated straps are now glued on instead of the plastic attachment, so can snap off easier from the mask if you over stretch them. But would still recommend them. Rated 5 out of 5 by Mister T from Does the job Used this when moving insulation around in the loft and stopped me coughing like i usually do. Fairly robust too so will get a few uses out of it. 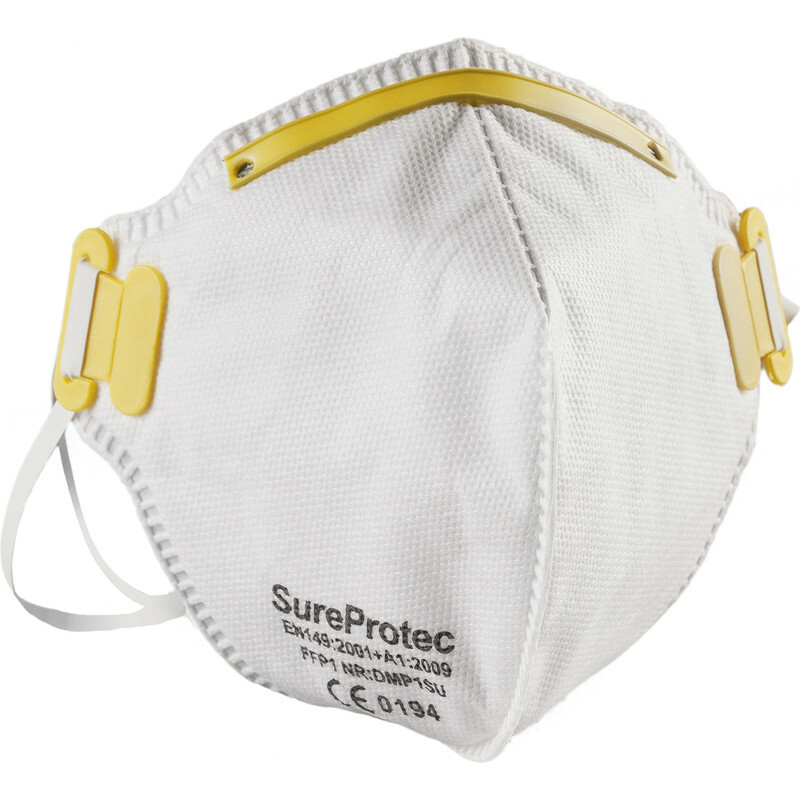 Rated 5 out of 5 by Toolstation7878 from Good value Good value/quality masks. Rated 3 out of 5 by Lee1P from new shape I have bought these in the past and been really impressed, this box seems to be a little on the small side, I need to adjust the mask often to keep it on my nose and over my chin. Not sure if the company has changed specifications but not as good as they were. Rated 3 out of 5 by Moseley from does a quick simple job that is it! for a simple tool box item for the face its ok but i suggest you go for the professional version this is by no means a protection just a quick grab use and bin! Rated 4 out of 5 by mcs_ from Not too bad. Not the tightest fitting mask but still alright for sanding paint work. The elasticated band is not as robust as i'd like.